Rovex front drag, rear drag and free spooling fixed spool reels for spinning, game fishing, distance casting, saltwater fishing and coarse and specimen fishing. 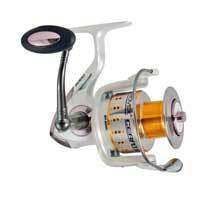 A great selection of reels to cover almost any situation and at low prices to suit all budgets. Rovex's Captive Fixed Spool Reels are designed to match their Captive Coarse Rods, offering the perfect size and line capacity. They are designed for use on natural and commercial fisheries and all feature a three bearing system, graphite body, shallow aluminium spool, quick fold handle and thick bail arm. 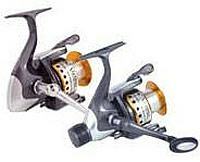 Please Note: Reels do not come spooled with line. 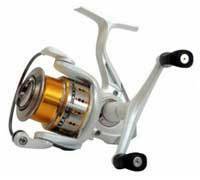 Rovex Nexium front drag reels are packed with features such as the Smart Slimline body, a 5 ball bearing system, infi nite anti-reverse, a double ported aluminium spool and a spare graphite spool. 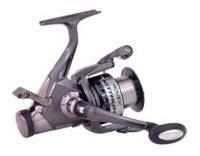 Thats a lot of reel at a sharp price. 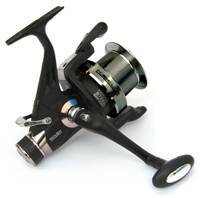 Rovex Air Strike Spinning Reels offer anglers smooth performance, rugged construction and a stylish slim body. 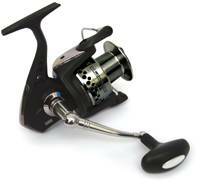 Each reel is built around a reliable three ball bearing system and a stainless steel main shaft. 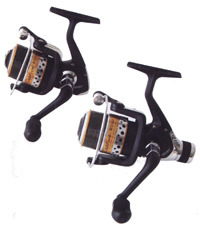 The infinite anti-reverse is rock solid and the swift 5.5:1 (in size 1000 and 2000) and 5.2:1 (in size 4000 and 6000) gear ratios allow these reels to perform well in all types of scenarios, including bait fishing and lure casting. All singing and all dancing" the Rovex Ceratec offers a phenomenal specification reel built to the demanding standards that we expect from Rovex all at a very affordable price. 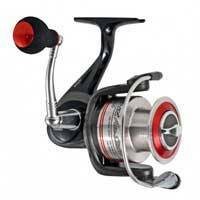 With five ball bearings the reel gives silky smooth rotation coupled with rugged construction to make this series ideal for all types of fishing. The Nexium Longcast 5000 and 7000 Freespool Baitfeeder Reels are technical marvels featuring wide arbor, long-stroke spools, worm-drive oscillation systems, 5 sealed ball bearing construction, infinite antireverse and one touch folding handles. We could list more features but the best of all is that anglers can access this fish-catching technology for a retail price of under £60. Thats outstanding value!